This is going to be a difficult review to write, and I'm not going to do the book justice, mainly because it took me so long to read it. It's not the book's fault at all, I was just sick for so long and my exhausted mind couldn't handle reading, especially not a book that makes you think. 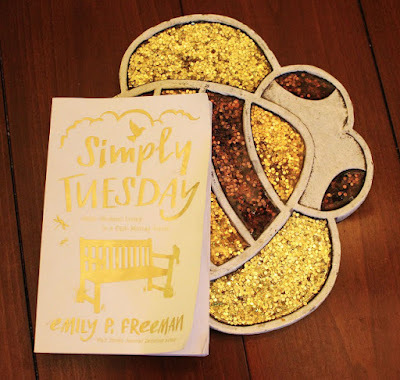 I was first introduced to Simply Tuesday author Emily P. Freeman through "Chatting at the Sky," a blog she started several years ago. I've always found her blog writing to be just beautiful and a lot of it really speaks to my soul. I received an earlier book she wrote, Grace for the Good Girl, as a gift a few years ago and I'm ashamed to admit that it's still sitting among many other books in my collection that I have yet to read. After reading Simply Tuesday however, I'm more encouraged to read it just because of Freeman's enjoyable writing. Simply Tuesday is a Christian living, almost self-help book but also shares personal stories from Freeman's life. 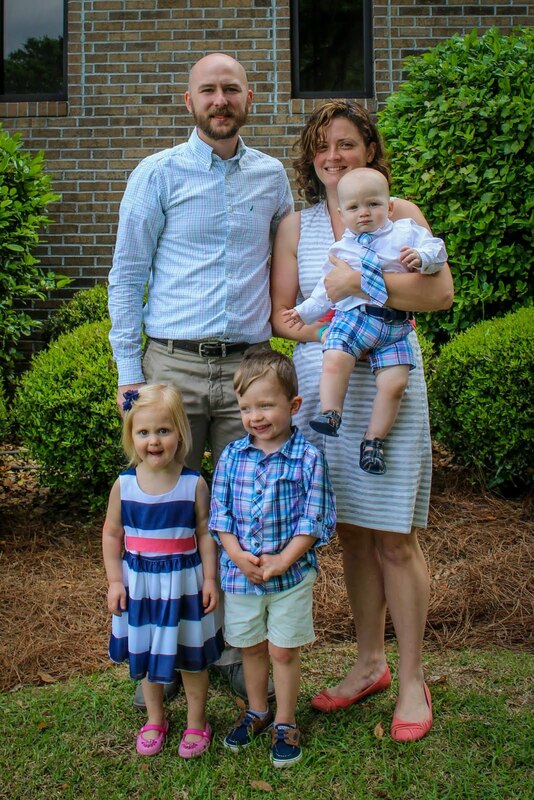 Stories of being a pastor's wife aren't so relatable to me but trying to slow down and live the small moment you're in for what it is, not what you want it to become, is. She talks a lot about sitting on a bench, both figuratively and literally. She teaches the reader what she has had to learn herself, that small isn't a negative, it's not a bad thing. Live in the small, sit on the bench, be where you are. The structure of the book has "parts" which have chapters and at the end of each chapter is a prayer, like you would find in a devotional. I think an introduction explaining the divisions would have served the book well. I also would have liked to have seen more scripture included in the text. Freeman makes references to the Bible but I would prefer an actual scripture reference (ie Psalm 91) and more direct quotes. Simply Tuesday has the potential to be used as a devotional or small group study and having actual scripture included (or at least where to find it) would really put it in that category. I could definitely see it being adapted to serve that purpose. Though it's a few years old, I'm going to post a review of Grace for the Good Girl after I read it, and maybe I can make up for this review that is lacking.